Dave Reininger, 75, of Leigh, died Monday, April 25, 2016, at the Madonna Rehabilitation Hospital in Lincoln. David George Reininger was born on the home farm near Leigh, Nebraska, January 23, 1941, to Eleanor and George Reininger, Jr. He attended District 20 grade school and graduated from Leigh High School. He attended Norfolk Jr. College for one year and returned to work on the family farm. On October 12, 1963, he married Sharon Kay McCord in Fairbury, Nebraska. To this marriage, three children were born; Julie Ann, Lori Kay and Mark David. Dave farmed the "home place" and raised Shorthorn cattle and purebred Chester White and Spotted hogs. 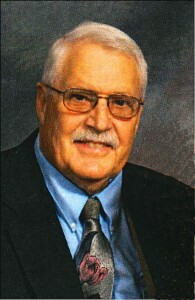 Dave was the President of the Colfax County Ag Society for 39 years, was a lifetime member of St. John's Lutheran Church where he taught Sunday School, was Sunday School Superintendent for many years and served on the church council. He was a member of Pla-Co Pork Producers and served as an officer. Dave and Kay also helped start the Clarkson Czech Dancers and danced for over 40 years. In later years, he sold buildings for Vavrina and Carhart Companies. In retirement, he enjoyed traveling and made several trips to Germany to connect with family there. He also enjoyed gardening, wine making ,genealogy , reading, wood working and helping the grandsons with 4-H woodworking projects. Dave is survived by his wife, Kay, daughter Julie(Mark) McMullin of Leigh, Lori Reininger and Mark(Megan) Reininger, all of Lincoln, grandchildren Jeremy, Stephanie, Matthew, Benjamin, Kyle and Ryan McMullin, a brother Roger(Dianna) Reininger of Leigh and many nieces and nephews. He was preceded in death by his parents and one sister, Ruby Reininger.